I have decided to name this article after the great NBA video game series NBA 2K. The reason is that NBA 2K introduced a new feature in the 2011 game that gave, to the gamer, the opportunity to take control of historical teams of the 80s and 90s as the basic concept was to play as MJ and achieve what he did as a Chicago Bull. This was a result of the increased demand and interest of the gamers regarding the teams of the past and especially of the golden era of the 90s. In fact in the NBA 2K12 game there are more than twenty historical teams. Evidence of that interest can be easily found in the various forums around the internet and the numerous modifications, with historical teams, that gamers around the world created and made available to download through websites. Anyone, that is not aware of this new trend in NBA video gaming, is free to visit the NBA 2K forums at the official page of the game and find out by himself the interest of the gamers for the teams of the past (https://www.2ksports.com/forums/). So, as a great fan of the NBA and as a man that grew up playing bball video games like, two on two, double dribble, fast break, tv sports basketball and of course NBA JAM and NBA Live it was not possible for me to do not play a game like NBA 2K that can actually put me in control of some of my favourite teams, some of the teams that I grew up watching. The game is really good and it brings back memories but it gave me also an idea. Why not make a game that will have only teams from the 90s, this means from the 1989-90 season to 1998-99 season. The question that arose then was which teams should be included and could there be two teams from the same franchise for example the Bulls of 1990-91 season and the Bulls of the 1995-96 season? After some thought, not too much, I have decided that there should be definitely 29 teams, one for each franchise of the 90s including the Raptors and the Grizzles even though according to the rules of this blog they are not qualified. These 29 teams would be the best that each franchise had during the 90s. So, there would be in the same league the Sonics of 1995-96 season and the Blazers 0f 1991-92 season. This sounds good but what about the franchises that had two or even three teams that could easily be included in such a league? Or what about some teams that we loved to watch but they were not that good, some of them did not even qualify for the play-offs like, for example the 1994-95 Dallas Mavericks of the Three-Js (Jason Kidd, Jimmy Jackson and Jamal Mashburn)? So, the 90s Eastern Conference would have two NBA champions; the Chicago Bulls with the best record in the history of the league with players like Michael Jordan, Scottie Pippen, Dennis Rodman and Tony Kukoc and the ‘Bad Boys’ of Detroit that won back to back titles with players like Isaiah Thomas, Joe Dumars, Bill Laimbeer and Dennis Rodman (without the coloured hair). 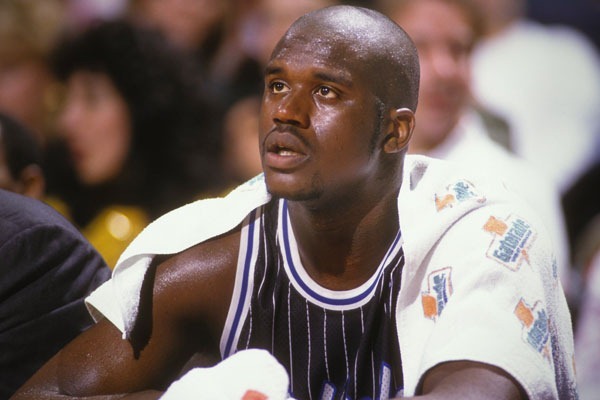 Two finalists; the tough New York Knicks of Patrick Ewing, John Starks and Charles Oakley as well as the enthusiastic Orlando Magic of the young Shaquille O’Neal, Penny Hardaway and the three time champion Horace Grant. Additionally there would be three Eastern Conference Finalists; Pat Riley’s Miami Heat with Alonzo Mourning, Tim Hardaway, Dan Majerle and Jamal Mashburn, the Indiana Pacers with Reggie Miller, Chris Mullin, Antonio and Dale Davis, Jalen Rose and Larry Bird as a head coach and the great team of the Cleveland Cavaliers that was destined to play at the same era with Jordan’s Bulls and never reach the NBA Finals, with players like Brad Daugherty, Mark Price and Larry Nance. Furthermore, there would be the aged but competent Boston Celtics of Larry Bird, Kevin McHale, Robert Parish and Reggie Lewis, Charles Barkley’s 76ers, Dikembe Mutombo’s and Steve Smith’s Hawks, Glen Rice’s Hornets, Drazen Petrovic’s and Derrick Coleman’s Nets, Ray Allen’s and Glen Robinson’s Bucks, the Bullets of Chris Weber, Juwan Howard and Rod Strickland and the team of Toronto Raptors with the young Vince Carter and the rookie Tracy McGrady. Thus, the 90s Western Conference would have two NBA champions as well; the Houston Rockets of the two former members of Phi Slamma Jamma, Hakeem Olajuwon and Clyde Drexler and their fierce rivals from Texas San Antonio Spurs of the twin towers David Robinson and Tim Duncan. It would also have five victims (NBA Finalists) of the Chicago Bulls; the supersonic team from Seattle with Shawn Kemp, Gary Payton and Detlef Schrempf, the all-star Suns of Charles Barkley, Kevin Johnson, Dan Majerle and Cedric Ceballos, the Utah Jazz of the one of the greatest duos in the history of the NBA in John Stockton and Karl Malone, the great Blazers team that lost two NBA Finals with players like Clyde Drexler, Terry Porter, Buck Williams and Kevin Duckworth and finally the aged but powerful Los Angeles Lakers of Magic Johnson, James Worthy and Vlade Divac. Furthermore it would have the Run-TMC-Warriors of Hardaway, Mullin and Richmond, Mutombo’s Nuggets that surprised the world by beating the no.1 seed of the west in 1994 NBA play-offs, the only competitive Mavs team until the coming of the great German with players like Blackman, Harper, Donaldson and Tarpley, the Wolves of the youngsters Garnett, Marbury and Gugliotta, the Clippers’ team of Danny Manning and Ron Harper, the young Sacramento team that became one of the greatest teams of the next decade with a mature Weber, a veteran Divac and the youngsters Jason Williams and Predrag Stojakovic, and the Grizzles of Shareef Abdur Rahim and Bryant Reeves. The additional eastern teams would be the 1997-98 76ers team which was full of talented players with Iverson, Stackhouse and Coleman in their roster, the Knicks of 1998-99 that had an aged and injured Ewing but had an all-star starting five with Allan Houston, Latrell Sprewell, Larry Johnson and Marcus Camby, the Hawks of the 1992-93 which was the last Hawks’ team that had Dominique Wilkins for a full season, the 1996-97 Pistons that was a team that supposed to have a great future built around the unlucky (comparing to what he could have achieved if he hadn’t been injured) superstar of the 90s Grant Hill and the 1991-92 Hornets’ team of Larry Johnson and Alonzo Mourning that upset the Celtics in the first round of the play-offs. On the other hand the additional western teams would be the Warriors of 1993-94 with players like Sprewell, Weber and Mullin, the super talented Lakers’ team of 1997-98 with four all-stars that season (O’Neal, Bryant, Jones and Van Exel) that reached the Western Conference Finals, the ‘gangsta’ Blazers’ team that reached the conference finals with players like Isaiah Rider, Rasheed Wallace, Damon Stoudamire and Arvydas Sabonis, the Mavs of 1994-95 which was considered as the team of the future with the three-j’s in its core, the Rockets of 1996-97 with the big-three of the 90s in Olajuwon, Drexler and Barkley and the Spurs of the MVP of the 1994-95 season David Robinson and the first rebounder of the NBA Dennis Rodman alongside him that had the best record in the NBA and lost in a memorable series to the Rockets in the Western Conference Finals. Imagine being able to play a season with all these teams, not all of them at the same league of course but 29 of them, in an old school 90s league with four divisions and play-offs with a best-of-five first round series. Imagine being able to customize the league with the additional eleven teams in the place of the original (eg. instead of playing with the 1989-90 76ers to chose the 1997-98 76ers team). I would really like to see a project like this in a future game of the NBA 2K series because it would undoubtedly bring back memories and give us the opportunity to relive some of the great moments of the 90s even in an artificial environment. But if you think about it in a more philosophical way ‘what is real’? Steven Delano Smith (born March 31, 1969, in Highland Park, Michigan). 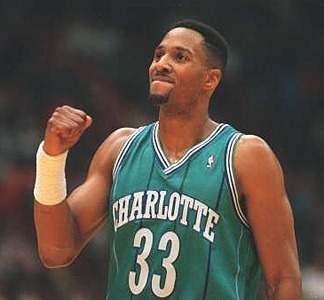 Steve Smith was drafted, in number 5 overall, by the Miami Heat in 1991 NBA Draft. He played for the Heat for three years and made an immediate impact as he helped the franchise reach the 1992 NBA play-0ffs for the first time in its short history (founded in 1989). Although he had an impact in the league and was considered a young star with a lot of potential, he was not that advertised. That is why I was really surprised when I saw his name included in Dream Team’s (version 2) roster. In fact I believe that he was at least one level below the rest of the players on that roster, at that time, that is why his selection was surprising. This was the moment that most of us, that lived outside the US, learned Steve Smith, even though his playing time was limited with Dream Team II he was introduced to the world and from the next season we were all expecting to see how the, until recently, unknown Dream Teamer performs in the NBA. The truth is that we have just seen him playing against the Bulls in 92 play-offs where from a point and on MJ had fun with him (as with the rest of the Heat defence). Smith finished his Heat career at the beginning of the 1994-95 season averaging 15.2 points, 3.9 redounds and 5.0 assists per game. Because of his style of play and his height (6’8) was considered by many as something like the Magic Johnson of the poor. ‘Smitty’ would prove, in the following seasons, that he had his own playing style and that was a star with a deadly perimeter shoot in his arsenal that every team would like to have in her roster. Smith played two games for the Heat at the beginning of 1994-95 season and then was traded to the Atlanta Hawks (with Grant Long for Kevin Willis and a 1996 1st round Draft pick). In Atlanta Smith played the best basketball of his career. He stayed there till the end of the 90s and then he was traded to Portland. Smith was the star alongside Dikembe Mutombo of a really good Hawks’ team that missed just a piece or the factor that transforms good teams to championship teams. In fact the closest they got to a championship was the Eastern Conference Semi-Finals in three cases: in 1996 the lost to the Magic 4-1, in 1997 they lost to the Bulls 4-1 and in 1999 they lost to the Knicks 4-0. Smith’s best season was 1997-98 where he was averaging 20.1 ppg., 4.2 rpg. and 4.0 apg. in the regular season and 24.8 ppg., 2.8 rpg. and 2.3 apg. during the first round playoffs loss to Hornets (3-1). At that season he has been selected to participate as a sub, for the East squad, in the only all-star appearance of his career. In the previous season ( 14 March 1997) Smith made nine three-pointers (including 7 in a quarter) on his way to a 36 point performance against Seattle. I really liked the attitude of Steve Smith on the court and towards the game. I liked the fact that except from his talent he knew the game, he possessed the fundamentals so good that could make a difference in the game by just being in the right place the right moment. He did not have to do anything fancy he could get everybody excited by making a simple but brilliant pass or a footwork that seamed so simple but made his shoot impossible to defend. He was one of the players that I enjoyed watching play and I was really happy for him when he played for the Spurs and finally won an NBA title (2003). John Levell Starks (born August 10, 1963 in Tulsa, Oklahoma). John Starks’ story is really interesting. He was not the typical NBA star. 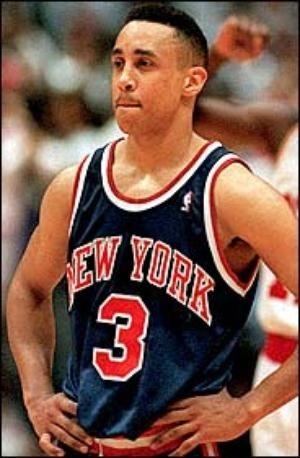 John Starks has not been drafted by any team as none of them thought that he was good enough to play in the NBA. He finally signed with the Warriors, as a free agent, in 1988 but got cut a year later. He then played in the CBA and tried again to play in the NBA with the Knicks in 1990. 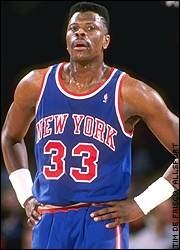 This time he did it but with some help from his, latter, good friend; Patrick Ewing. The legend has it, that during a practice Starks tried to dunk on Ewing but the huge Jamaican threw him on the floor. Starks got injured and the Knicks could not get rid of him and this is how they got “stuck” with him, which was something that finally worked out in the benefit of both sides. John Starks was not the super talented all-star shooting guard. But he became an all-star because he was determined, hard worker and competitive in nature. Although he was not an original New Yorker he had all the characteristics of the tough straight outta Harlem guy (at least the way documentaries or stories about Harlem describe them as I have never been to Harlem!!!) that made him really popular amongst the Knicks’ fans. Of course the main reason that Starks became so popular in New York was his attitude and the way he approached the game that fitted perfectly the style of play the Pat Riley wanted for his Knicks during the 90s. Another thing was his role in New York’s rivalry with two of the most hatred figures in Madison Square Garden; Michael Jordan and Reggie Miller. The rivalry between the Bulls and the Knicks was the greatest of the 90s and John Starks had been considered, falsely, as the solution to the MJ problem. All I have to say is that I enjoyed their duels and although MJ was the clear winner, John Starks stood tall and had his moments. I will never forget “the dunk” in 1993 play-offs nor the “360 degree lay-up” in 1996 play-offs. But during the 90s the Knicks was a team that simply created rivalries everywhere (Bulls, Pacers and Heat) and John Starks had to face another great competitor; Reggie Miller. This was a more balanced battle but I could say that Miller made some emphatic statements on whether he was better or not during the 1994 and 1995 play-offs where he literally abused the whole Knicks defence and left John Starks wondering!!! Anyhow, John Starks was never a superstar but he knew how to handle his superstar opponents; by trying to even the difference in talent with a lot of attitude and some times pure inspiration. 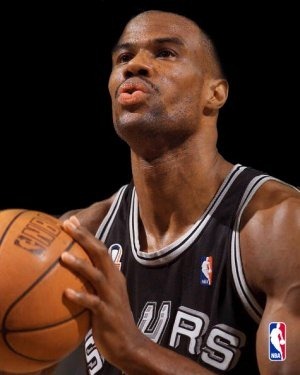 Starks had his best season in 1993-94 when he participated in the only all-star game of his career, as a sub for the Eastern Conference, and had also his best numbers in ppg. with 19.0, apg. with 5.9 and spg. with 1.6. 1993-94 was also the season that himself and the Knicks came close to win the NBA title as they lost 4-3 to the Houston Rockets in the NBA Finals. 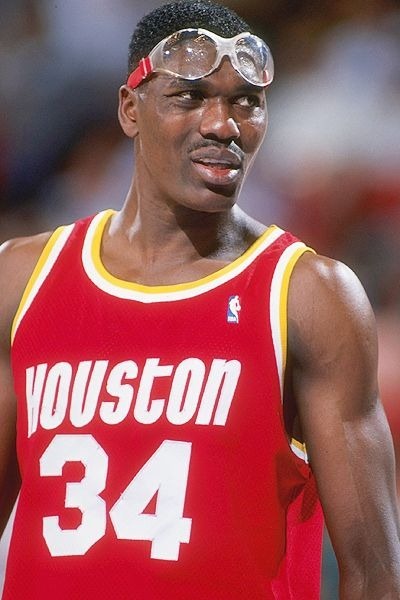 In the previous season 1992-93 he had been selected for the 2nd all-defensive team, in 1994-95 he led the NBA in 3pt field goals made and attempted and finally in 1996-97 he was coming from the bench but was named Sixth Man of the Year. In January 1999 he was traded to Warriors (with Terry Cummings and Chris Mills for Latrell Sprewell) and missed New York’s second unsuccessful trip to the NBA Finals (lost 4-1 to the Spurs). I could write more and more things about Stark’s career as there were many more interesting moments and performances but this is not the point of this post. I will always remember John Starks not as a rival of MJ or Reggie “Killer” but as John Starks; an all-star player that combined hard work, attitude and imagination. Jeffrey John Hornacek (born May 3, 1963 in Elmhurst, Illinois). I was thinking of ranking Isaiah Rider as number 9 and I have to say that I changed my mind many times. Finally, I decided that Hornacek’s presence throughout the 90s was stable in a pretty high level and he was always reliable and one of the best players in each of the teams that he played. OK, I agree that Rider was definitely more talented than Hornacek and Majerle, but he never played up to his level, he was always in another dimension and although I really liked his game I have to say that the consistency of Majerle and Hornacek and their work ethic were more important than Rider’s talents, in the long-run. Hornacek had the looks of the ‘guy next door’. 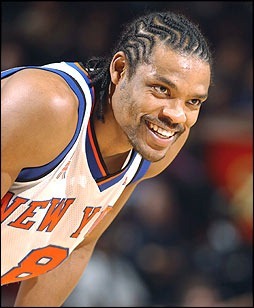 If you didn’t know him there was not a chance that you thought of him as an NBA player. He said it better that I could ever say it: “I wasn’t the fastest guy, I wasn’t the strongest guy, but my father was a coach, and I knew just about everything about basketball. That’s what got me through”. That is exactly the summary of Jeff Hornacek’s ability, he had a great knowledge of the fundamentals plus he was a smart guy and was able to turn around the situations when he was finding himself in a disadvantaged position. This was happening almost every night as he said: “I always had to figure out how to take advantage of what’s going on. The guy guarding me was 2-3 inches taller, and 15-20 lbs heavier, and bigger, stronger, and faster, I knew I had to do something different to offset that. So one thing I always did was try to outsmart them and be one step ahead of those guys”. He was a great shooter and a very good scorer. He led the Suns in scoring in 1991-92 season with 20.1 per game and was selected as an all-star, for the West, in the same season. He played for the Suns six consecutive seasons since he was drafted by them at 1986 as number 46 overall (no.22 in the 2nd round). He played the best basketball of his career during the 1991-92 season, he was named player of the month during December 1991, but Phoenix was eliminated in the 2nd round of the western conference play-offs by the Portland Trail Blazers in 5 games (4-1). This led the Suns management to make a very important move and send Jeff Hornacek to Philadelphia, as a part of the transfer, for Charles Barkley. Jeff played in a high level and averaged 19.1ppg. in his first season with a really bad team in Philadelphia. 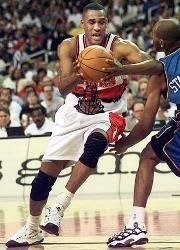 His second season was not bad either but he was finally traded to Utah in the 24th of February 1994 for Jeff Malone. 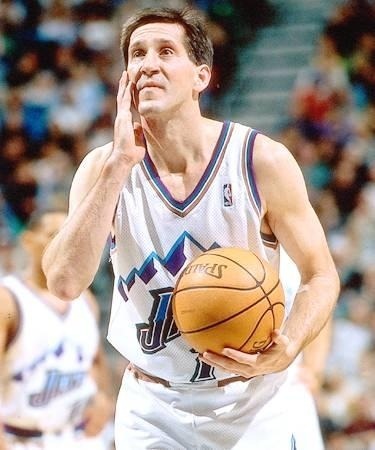 In Utah Hornacek had the opportunity to play alongside two of the greatest players ever (John Stockton and Karl Malone). Hornacek had an immediate impact in Utah as he proved to be a perfect fit to Jerry Sloan’s system. Jeff Hornacek helped Utah to reach the NBA Finals two times in a row, during the 90s. He was a very important piece in Utah’s puzzle but he was unlucky enough to guard Michael Jordan in 1997 and 1998 NBA Finals (alongside with his teammate Bryon Russell). I remember an incident that was really funny (for us), that took place during the 1997 NBA Finals where Hornacek’s kids were at the arena in Utah wearing Michael Jordan’s jerseys (I have to say that I remember a sport caster describing it I have not seen it with my own eyes) . He was really underrated, I underrated him as well and I was considering to leave him outside of this countdown, for lesser players because of their talent and fancy moves. Hornacek deserves to be considered as one of the top-ten shooting guards of the 90s as he really earned it with his consistency, hard work and smartness. Daniel Lewis Majerle (born September 9, 1965 in Traverse City, Michigan). 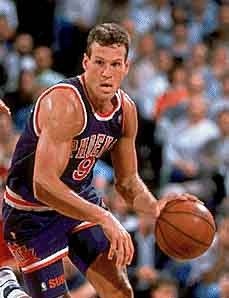 Dan Majerle was the type of player the flourish in the 90s, the hard-working type, an unknown guy that nobody cared about or looking forward to watch him play. The 90s was the era where the players used to work really hard in order to get the big bucks and in order to become better players. This is not happening anymore, high-school kids get paid with astronomic amounts of money and this is not good for the game itself, as they lose interest and are treating the game just as a career in accounting, if you know what I mean. Majerle was drafted by the Phoenix Suns at number 14 overall of the 1988 NBA Draft. He played for the Suns, the Cavaliers and the Heat during the 90s. He was a really tough guy, a great defender and he was deadly beyond the three-point line. Many of his opponents made the mistake and let him unguarded and of course they paid, as Majerle led the league in three-points attempted and made for two consecutive seasons (1992-93 and 1993-94) and he tied with Mookie Blaylock for the second place in three-points made the year after (1994-95) where John Starks was number one. He was not just a good three-point shooter he was explosive and made some really powerful dunks as well, I could say that he was a complete shooting guard. Majerle has been named an All-Star three times in the 90s (1992,1993,1995) all them with the West squad and he was a starter in one of them (1995) which is something that shows the appreciation and respect of the fans for his game back then. He has also been named in the second all-defensive team twice (1990-91, 1992-93) and was a member of ‘Dream Team II’ in 1994. I will never forget Dan Majerle’s passion when he was trying to guard Michael Jordan in 1993 NBA Finals and the fact that neither him or his teammate Kevin Johnson could do anything to stop MJ. Dan played really well during that series but to guard MJ was an unaccomplished task and nobody will ever blame him for that as nobody has ever done it. I would say that Majerle was the type of player that you enjoyed watch him evolve as he became an all-star through his hard work and not depending just on his talents. This type of players are missing from today’s NBA.